Question 1: In a recent Calvary Live you mentioned a ‘kids’ Bible you read to your kids. Can you tell me the name and publisher of that Bible? 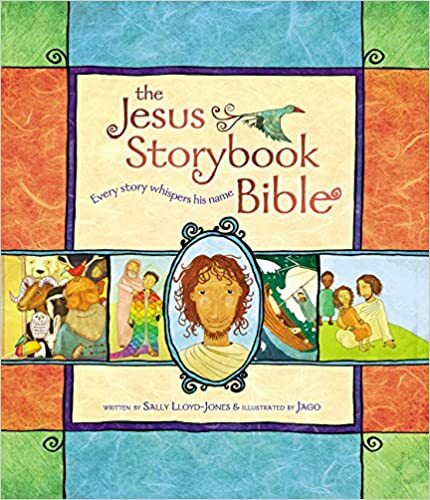 The name of that Children’s Bible is The Jesus Storybook Bible, and it is published by Zonderkidz, which is the children’s branch of Zondervan. I love this Bible because, to put it in semi-technical terms, it uses a Christo-centric hermeneutic and a Biblical theological approach to teaching kids the stories of the Bible, which is so important. Almost every children’s Bible I have come across presents a moralistic message to children, rather than one which helps them to see Christ in all of Scripture, and that all of the Bible points to Him and is fulfilled in Him. On a similar note, I have found that many Children’s Ministry curricula are moralistic in nature, and can err on the side of telling Bible stories, but not explaining how those stories point to Jesus or fit into the narrative of the Bible which culminates in Jesus’ saving actions on our behalf. However, there are some good ones out there; at White Fields we use The Gospel Project, and we love how well it points our kids to the gospel every week and helps them learn to read the Bible through a christological lens. This children’s Bible is a breath of fresh air, and I have often found myself choking up as I read it to my children, because the message of the gospel and the brilliance of God’s love and grace comes through so clearly. Personally, I think every adult should read this too. It is a wonderful introduction to Christ-centered hermeneutics and biblical theology, which everyone, not just children would benefit from. Question 2: I am the leader of a small group in my church. We want to study parenting but are having a difficult time finding materials. I was hoping you might be able to suggest some? My recommendation would be Family Life’s Art of Parenting course. I haven’t used this material yet myself, but we are considering hosting a class at our church based on it, and I trust the publisher. They have both group materials and a self-service online course. Thanks for your questions! Keep them coming, and I hope these resources help. The past few days have flown by in a blur. 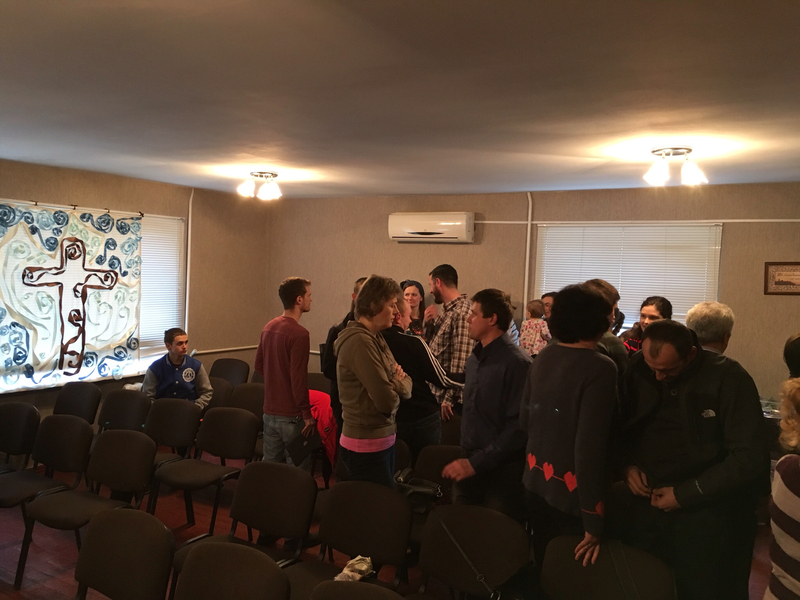 On Friday Jani and Tünde arrived to Kyiv from Eger and then we headed out the the Calvary Chapel Ukraine Pastors and Leaders conference which was held at a very nice Christian conference center in Irpen, just North-West of Kyiv. 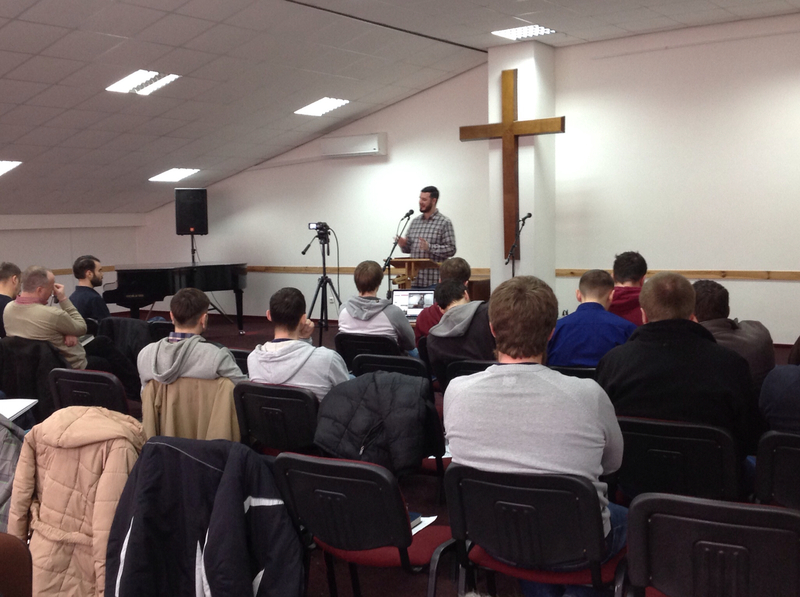 There were also pastors in attendance from Belarus and Moldova, almost 40 in total. 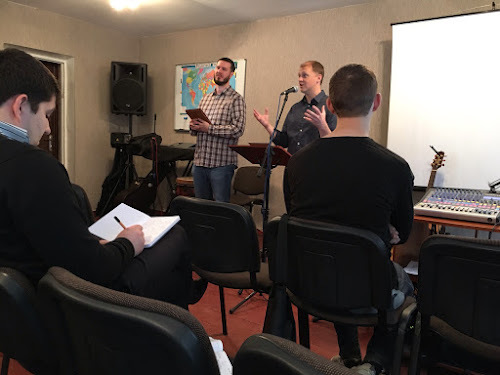 Ben Morrison and I taught the conference on the topic of Christocentric preaching, and our focus was on explaining why it's important to preach that way and how to do it. Let's just say, the weekend and the material was nothing short of revolutionary for these pastors, and I can see how God is going to use this approach to shape this movement going forward. It was so good that I plan to make sharing this approach a priority in the US and wherever else I will have the opportunity to do so. 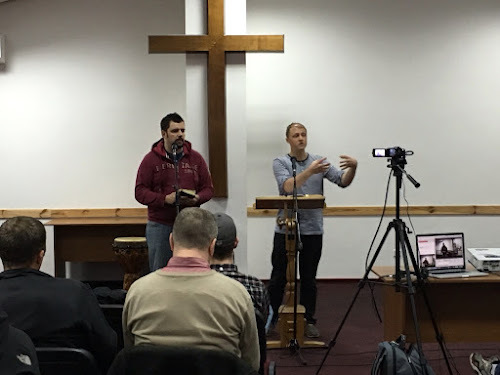 One of the pastors in Ukraine, in the city of Kharkiv, is the nephew of a lady at White Fields, so it was great to connect. Additionally, the pastor who came up from Moldova is an old friend of my wife and I, and it was great to catch up with him and hear what the Lord is doing there. After the conference, Travis and I drove with Ben and Levi to Svitlovodsk, and this morning I taught at their church service. The people are very open and responsive to the Gospel and I was able to see many of the people I had met on my trip last year. In the evening we did a men's fellowship at the Banya (Russian sauna) and had a great time. Tomorrow evening and the following evening Travis and I will be teaching a seminar on Work as Worship, so please pray that goes well.